Male Hands Using Smartphone Mockup With Blank Screen At The Office.. Stock Photo, Picture And Royalty Free Image. Image 41302679. 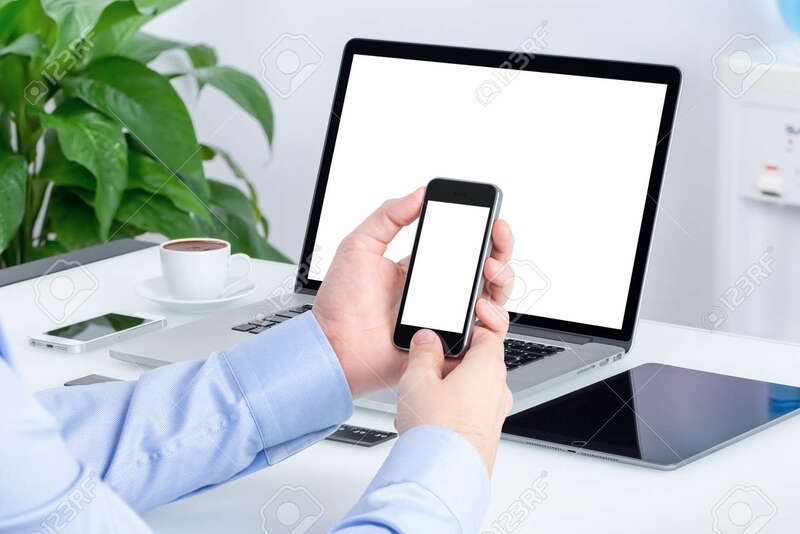 Stock Photo - Male hands using smartphone mockup with blank screen at the office desk with an open laptop mockup and tablet computer. All devices in full focus. For responsive design presentation. Male hands using smartphone mockup with blank screen at the office desk with an open laptop mockup and tablet computer. All devices in full focus. For responsive design presentation.